Sundown Friday to Sundown Saturday. Plus Also Closed on All Jewish Holidays. 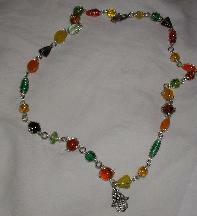 See my flickr pages for examples of custom orders. Be the first to find out about new products and specials. Click on Facebook and become a fan of Chadis Crafts! 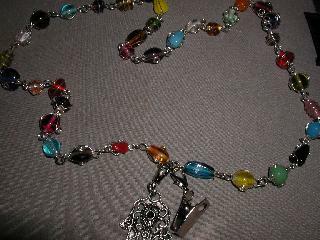 Colors of glass beads vary. 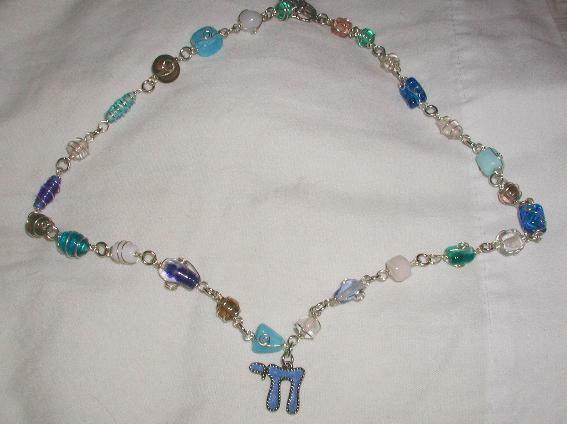 Custom orders of different lengths and charms can be ordered. 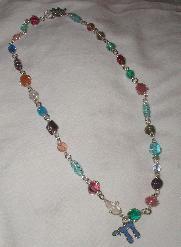 Necklaces can be ordered in different lengths and charms. Lobster claw or Chumsah toggle clasp.